Actually ! I am hoping to reveal early this coming week what I've been up too! I have been making cards still although not to many! I'll show you those today and also I want to bring you my Word art Wednesday entry! 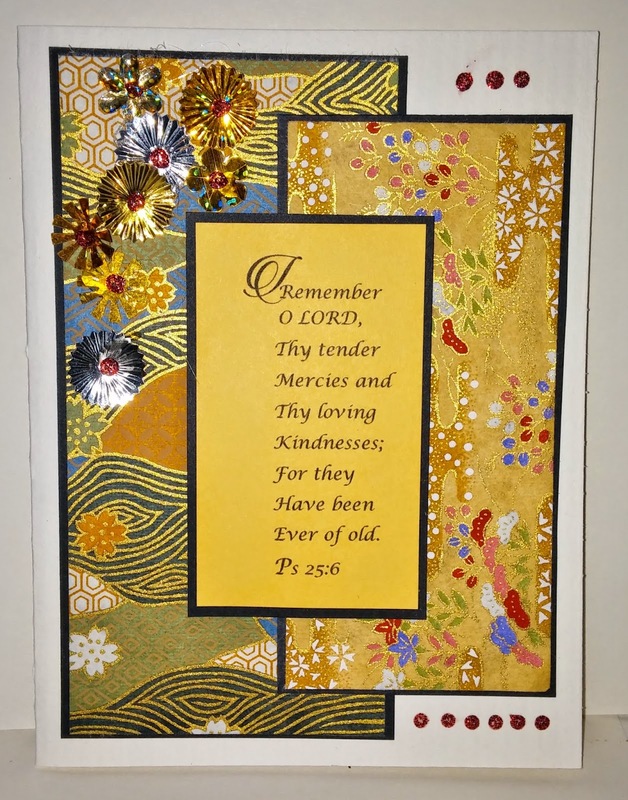 If you have a few minutes to receive a blessing, go over to the Word Art Wednesday blog, download the free verse and create something beautiful! Enter the challenge and you might win something great!! That asian paper is a picture of fabric from my stash!! This is a photo digitized of a Tiffany glass window! 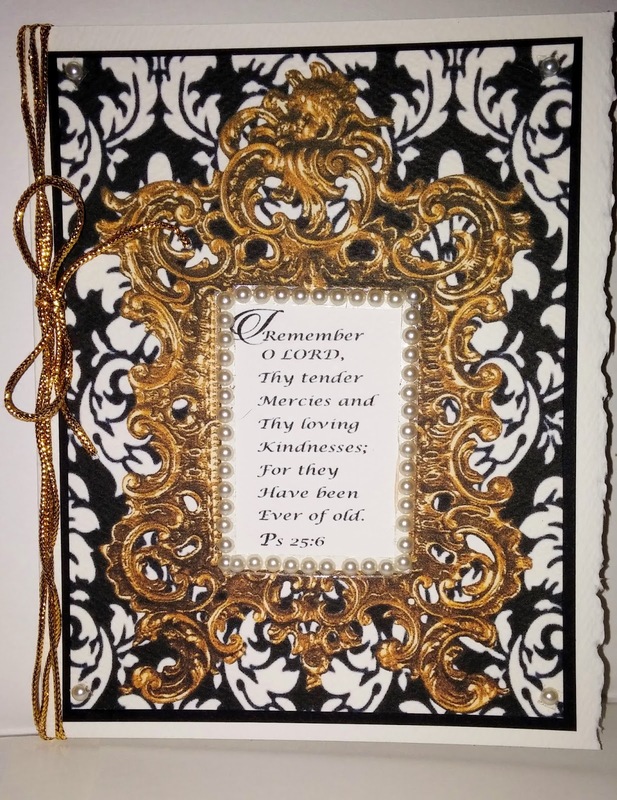 the prototype of my sons wedding invitation!! Thanks for stopping by, I hope you have a great weekend!! Hi Ginny, I can't wait to see what you've got up your sleeve and will reveal later about what you've been up to! 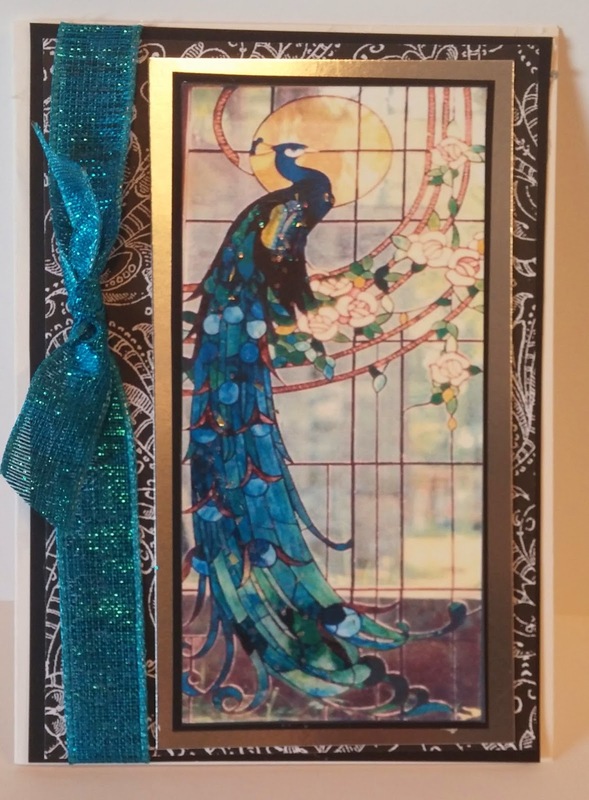 But, right now I am loving that beautiful peacock stained glass window card. Have a great day! 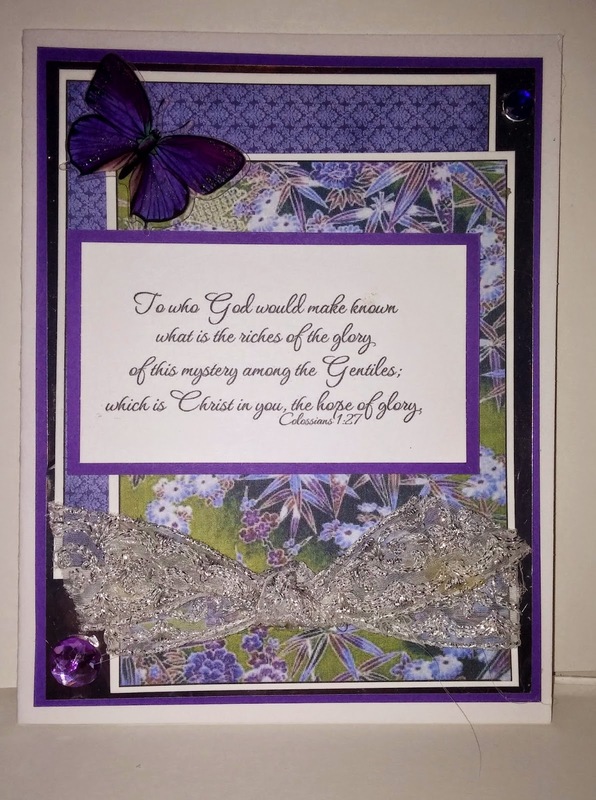 Beautiful cards, Ginny. Thanks for sharing them with us.